Kerry Ingram is an English actress who gained a lot of attention lately for her portrayal of Shireen Baratheon in the HBO hit fantasy series Game of Thrones. Though she has acted in films and TV shows before, it was this role that brought her fame and recognition. The young stunning actress has starred in many popular TV series including Doctors, Wolf Wall and Thronecast. In 2017, she was cast as Becky Sidebottom on Netflix series Free Rein. She earned a Laurence Olivier award for Best Actress for playing the lead role in the musical Matilda. Kerry Ingram was born on May 26, 1999, in Slough, Buckinghamshire, England, UK. 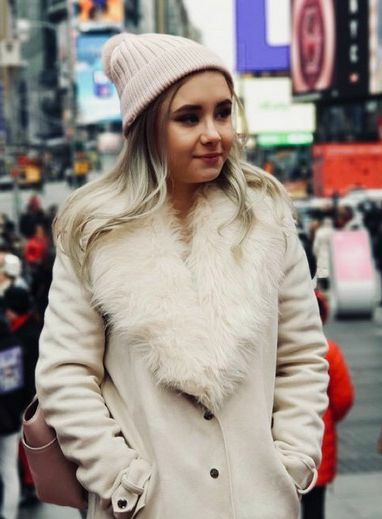 Kerry Ingram attended different schools for her school education including St Joseph’s Catholic Primary School in Bracknell, Berkshire, followed by Charters School in Sunningdale from 2010 to 2011. She then attended Redroofs Theatre School in Maidenhead from 2011 to 2013 and finally she joined Hurst Lodge School in 2013 from where she graduated in 2015. She is of Maltese descent. Ingram was born to Derek Ingram and Sally Ingram. She has four siblings, including her younger brother Francis Ingram and a younger sister Rachel Ann Ingram. Kerry isn’t a type of girl who discuss about her private life with her fans or media either. That being said we certainly have no clue about her love life or past relationships at the moment. Kerry Ingram got her start in films in the year 2009 when she landed a minor role as a Village Child in the epic historical drama film, Robin Hood. Unfortunately, her role was uncredited. Her first credited appearance was as Turning Woman 8 in the 2012 drama movie, Les Misérables but her portions didn’t make it to the final cut. Ingram made her television debut with a breakthrough role as Shireen Baratheon in the HBO fantasy drama series, Game of Thrones, in 2013. She appeared in a total of 10 episodes in the third, fourth, and fifth seasons. Apart from acting, the budding starlet is also a talented singer. She sang a song “It’s Always Summer Under the Sea” in an episode of Game of Thrones in 2013. Ingram made her first stage appearance at the age of ten, playing a workhouse child in Oliver! at the Theatre Royal, Drury Lane in 2010. She gained fame for her portrayal of Shireen Baratheon in the fantasy drama show, Game of Thrones, which propelled her to international stardom. Her other notable works include Doctors (2014) as Lois Wren, Wolf Hall (2015) as Young Alice Williamson, Doctors (2016) as Hannah Devlin, and Free Rein (from 2017) as Becky Sidebottom. Unfortunately, we do not know any details related to her net worth and salary at the moment. The budding actress hasn’t spilled a word about her net worth or salary to the media. Having got her start in theater, she has appeared in musicals like Oliver! and Matilda the Musical. The latter earned her an Olivier Award for Best Actress in a Musical. Kerry suffers from Osteogenesis Imperfecta, a rare condition that results in weaker bones. Due to which, she had to use a wheelchair on rare occasions. She gets periodic infusions every four months to increase her bone mass. She has broken a total of around 30 bones in her life time. In 2017, Ingram portrayed the character Metro The Gnome in a musical, Animalphabet. In 2018, she won a Daytime Emmy Award in the Outstanding Children’s or Family Viewing Series category for her work in the Netflix series Free Rein.